Sheer organizational bliss! 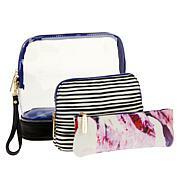 This customizable cosmetic case seamlessly transitions from home to travel with style and ease. Slide the modular tray out of the case and into your bathroom drawer or hotel counter to keep your favorite makeup and beauty tool easily at hand. 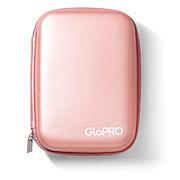 You also get an integrated table top vanity mirror for on-the-go makeup application anywhere you please! Great solution for those gals with lots of makeup. Glad I found this case. I have an assortment of makeup in multiple small cases. Now it all fits in this. I just got this in the mail and cant wait to use it. 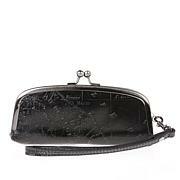 It has many compartments including places to store your brushes and I pull out mirror with a kickstand. So excited to use it on an upcoming trip. The only reason I did not give it a 5 star is that the package came damaged. Looked like someone took a bite out of the box - the case was not majorly damaged but the top was a little "smushed" down into the zipper. I took the case out of the box and its very heavy. I loaded my make up in the case and its too heavy. Even after I took out the mirror ,its still too heavy. the top compartment comes out of the case .the problem is you cant put nothing in the bottom of the case .I sent it back. 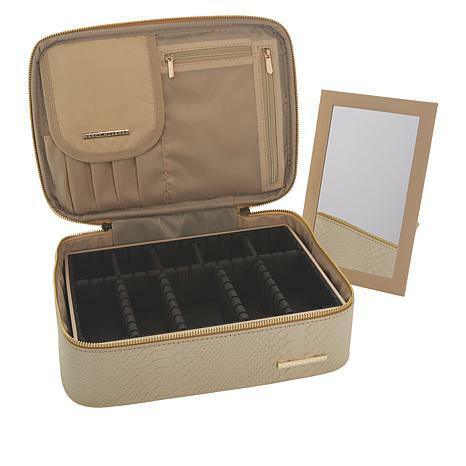 Luke Henderson Large Cosmetic Case Keep all your beauty supplies in one stylish, easy place. This cosmetic case features a fashionable snakeskin pattern and rose gold tone zip closure, and is the perfect size for all your daily essentials. Staying put-together was never so simple.